I guess you have all been wondering what happened to me and the blog. Why it has been so silent lately. I never really meant for the silence to last for this long. The main reason why there haven’t been any updates is probably because I just don’t feel very inspired to write. Also I’m no longer sure what to do with the blog. When I first started blogging, it was so that our family and friends, near and far, could keep up with us and all our “adventures”. But then the blog grew bigger, people from all over the world started reading. At first I thought it was fun, and then it started making things more difficult. I could no longer be as personal on the blog as I wanted, because I want to stay a little anonymous now that so many are following me. It was a very difficult line to walk. I also started to feel like maybe the new people didn’t want to read about my personal adventures, that they were only following me because they had a great interest in Iceland. So I changed the blog a bit and made it more informative, but I never really liked it. This was supposed to be about me and my life and all my adventures, both in Iceland and anywhere else I would go. Because of all this, I have decided to take a break for now. I’m still trying to figure out what I want to do about the blog, if I want to close it down, or change it, or do something completely different. So for now the blog will stay silent, and I’m sorry about that. But I will come back someday soon when I have finally made up my mind. For now I leave you with a picture of Akureyri, taken this weekend. Yes we still have snow in the mountains! I love Sundays, it’s a day to just take it easy and relax to store energy for the week to come. If it’s a rainy day it’s a day to lay on the couch, watch movies and enjoy life. But if you’re lucky enough and get sunshine on a Sunday, being outside is almost a must. 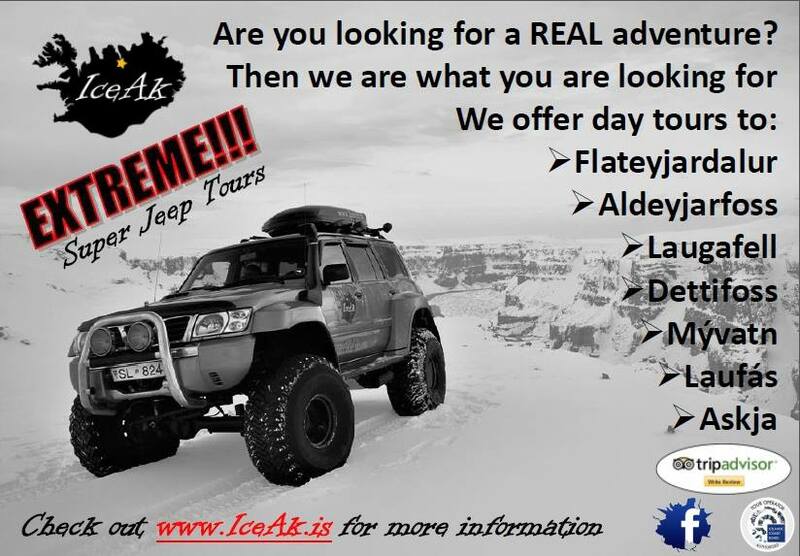 Since we were lucky enough to have a Sunday with a beautiful blue sky and a lot of sunshine we took the Jeep and went for a short Sunday drive in the valley above Akureyri. It was the perfect day for a drive! The sun made the snow sparkle like a million diamonds and the snow was perfect to drive in. It was a perfect Sunday, I want more like it now that winter is slowly changing into spring. Sorry about the bad quality of the picture, but we of course forgot the camera so this one is taken with my phone. 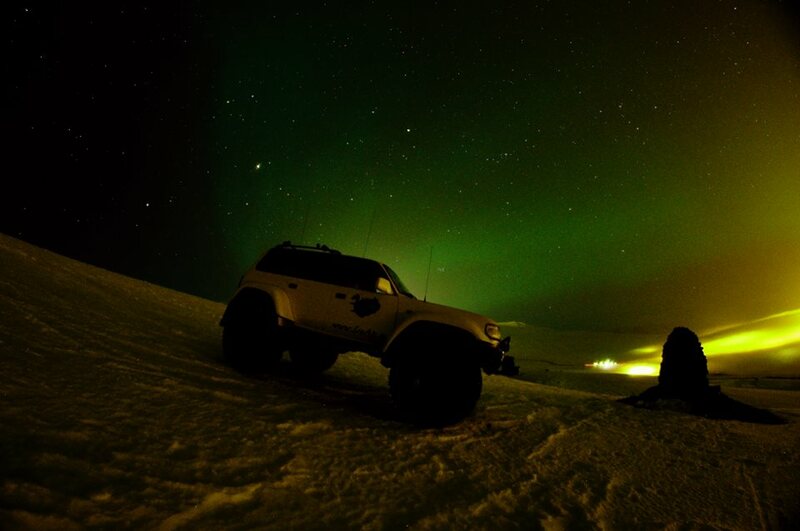 One of the best things about winter in Iceland, the amazing Northern Lights! Lately our days in Akureyri have been filled with lovely sunshine and a beautiful blue sky. This often results in amazing northern lights in the evenings. Of course it’s difficult to see them when you’re in town, but as soon as you leave all the light behind you they fill the sky. It really is an spectacular sight and I understand why so many tourists travel all the way to the north to see them! When Doddi took this picture the lights weren’t even visible to the eye. So even if we can’t always see them they still seem to be there. A beautiful time-laps video from Iceland, made by the brothers Patrick and Henrick Shyu of Blue Eden. 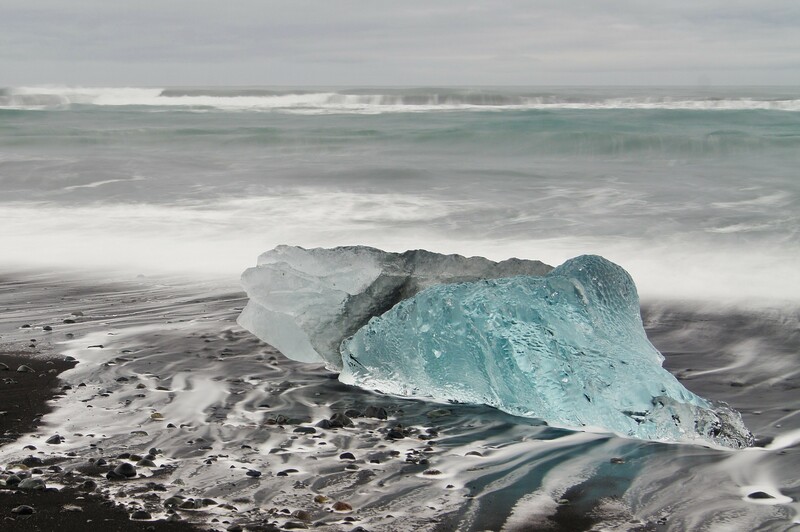 Unfortunately the footage is only from the south and west of Iceland and nothing from the beautiful north. Still it’s really nice. I would love to make on of these videos myself, and maybe one day I will. Until then I will just have to borrow videos to show you how amazing this country is! On Wednesday last week it started snowing here, and it snowed and snowed for days. I of course Love snow, so for me this wasn’t a problem, also we have big cars so snow doesn’t really stop us 😉 But many people thought it was a bit much, and they want the snow gone now. Unfortunately for them I think winter will be here for at least one more month, if not more! So while spring is coming to the rest of Europe, we’re having snowstorms and full on winter! The only problem I saw with the snow, and what they called the “snowstorm”, was that we were cut off from the rest of the country. 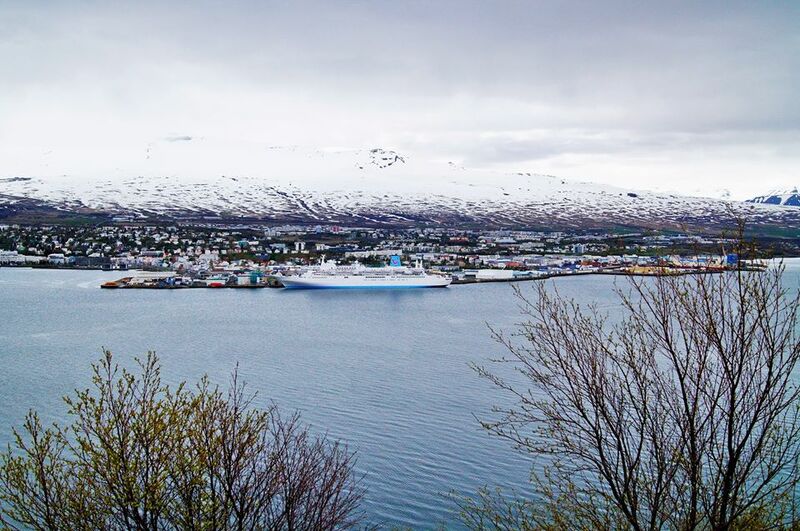 All roads going to and from Akureyri were closed for days, which meant no transports of any kind could get here. So we haven’t gotten any mail since Wednesday and no news papers until this morning. On days like that you’re very happy you have internet, so that you can follow what’s happening in the rest of the country and the world. 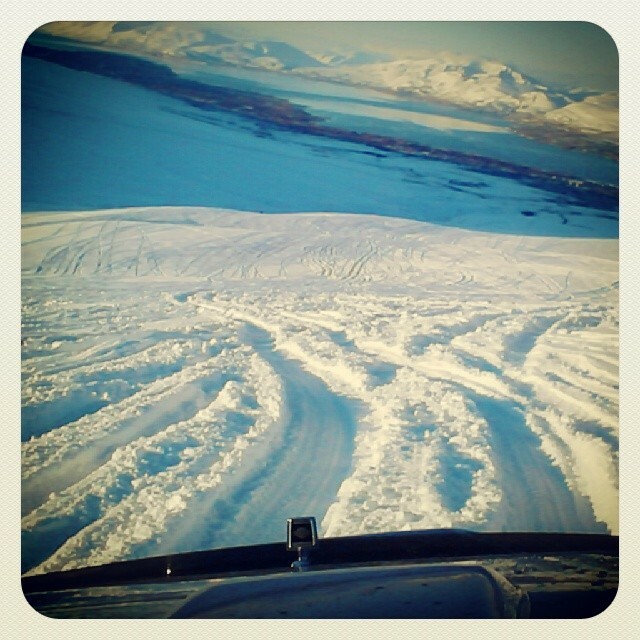 The best part about all that snow was how beautiful Akureyri got, covered in a thick white blanket. It doesn’t get much better than that! At the moment the rain is washing away all the lovely snow that fell just a few days ago, turning the town grey and dull. It’s funny how big of a difference the snow makes. When there’s a layer of snow covering the ground the town looks so much more beautiful and it doesn’t feel as dark. But then when the snow starts melting and reveals the dark ground under it, the town looks duller and not as enchanting. This winter hasn’t been as I expected, we’ve had too little snow, and way too much rain for my taste. The snow that falls only gets to stay for a few short days before it’s replaced with rain and ice. But I shouldn’t complain too much, we’ve still had snow! 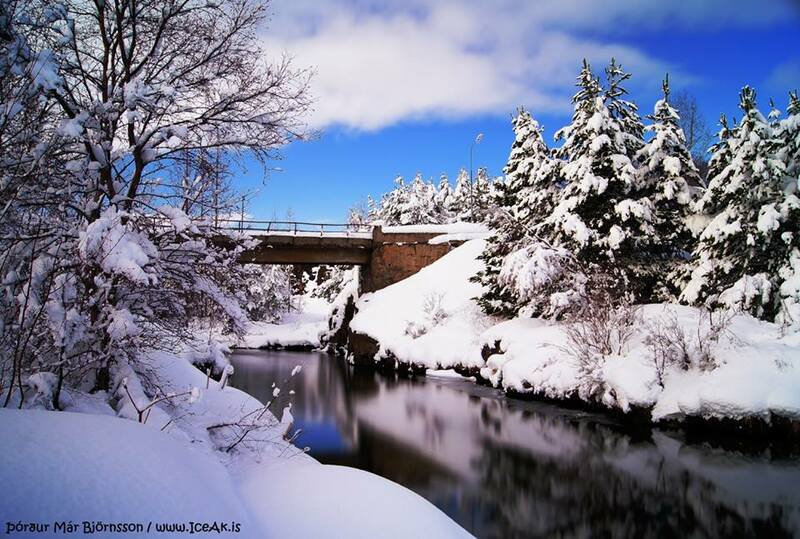 Last winter when we were in Reykjavík, we had one or two days of snow, that was it. This is a big improvement compared to that. Still a bit of a disappointment, since they had winter and snow from September until May here in the north last year, with a lot more snow then now and a lot less rain! Of course that’s what I was expecting when moving here, but every winter is different I guess. Since we had such a bad winter last year in the South, we went on a lot of day trips outside of town with our Jeep, to find some snow. This year we haven’t been on a real winter trip with the Super Jeep yet. The plan is to go on a Þórrablót trip at the end of this month or next month. Even if I don’t like the Þórrablót food, I’m still looking forward to it. I’m looking forward to driving out of town and up into the mountains and the silence, where you get the great feeling of total freedom! One of the main reason why we haven’t been on a Jeep trip this winter, is because Doddi has been working a lot, driving tourist. 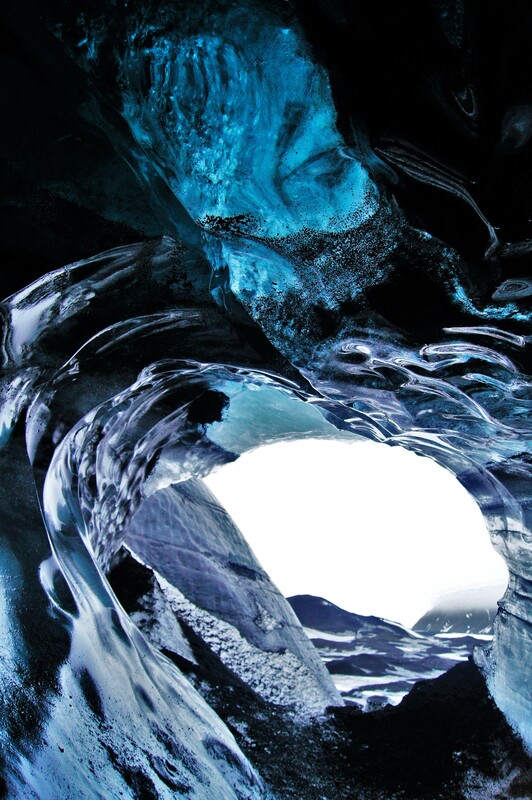 He was gone for most of January, and he got to see some amazing things, and I’m so jalousie of him 🙂 He got to go in to an ice cave, which is something I’ve never done but really want to do! Now I’ve made him promise to take me there later so I can experience all the amazing things he saw! 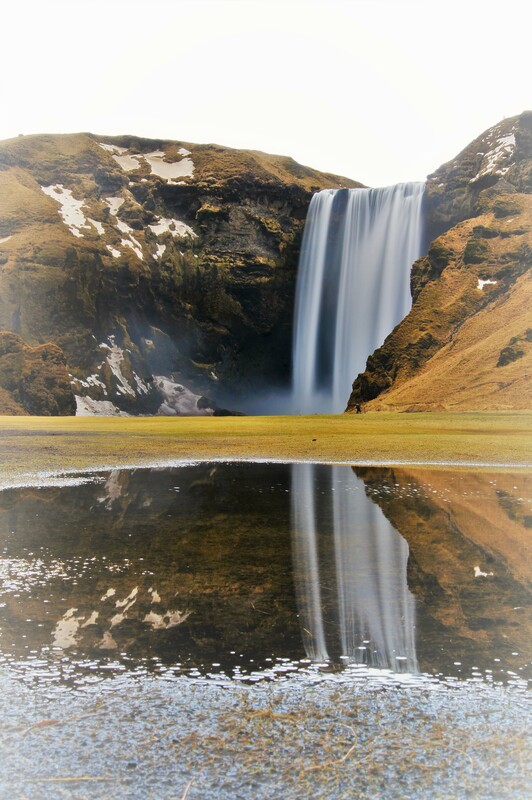 Seljalandsfoss, a place I’ve been to, but never during the winter. 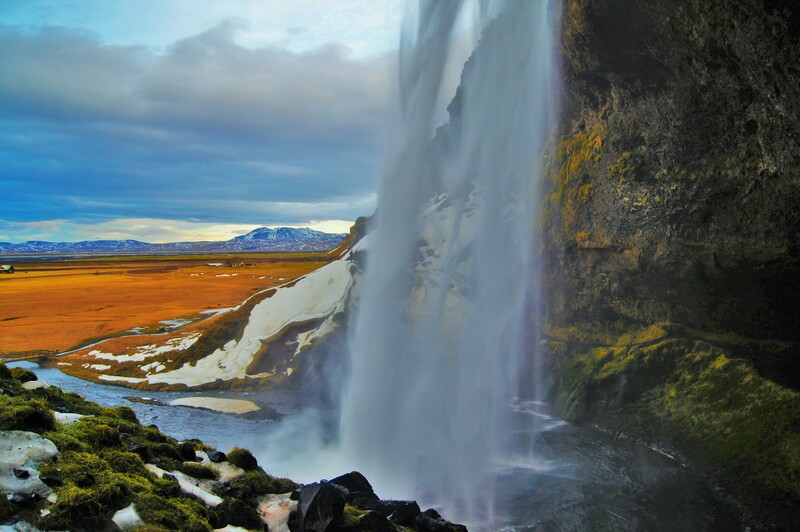 Seljalandsfoss, it’s a waterfall that is beautiful both in the summer and winter time. 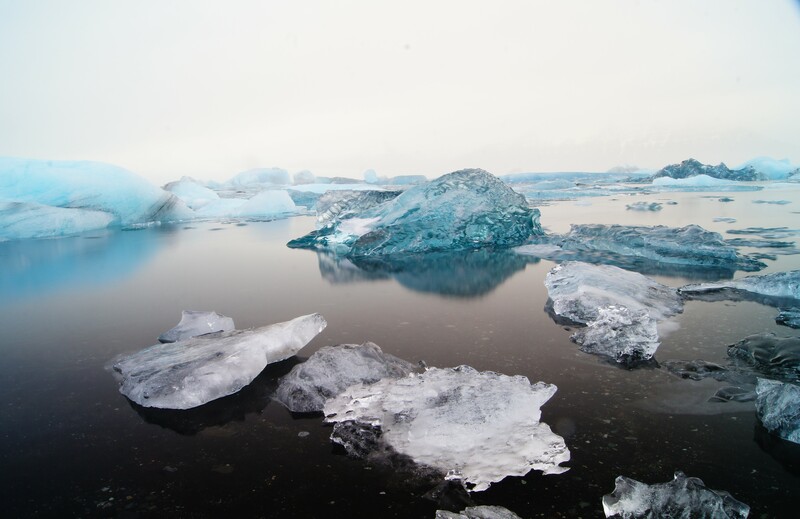 I’ve been to Jökulsárlón a few times, and each time it’s completely different. 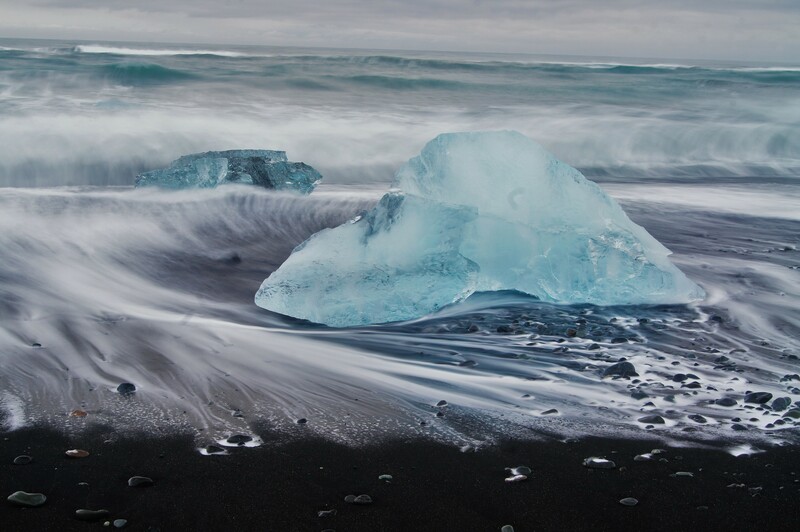 Ice on the beach, close to Jökulsárlón. Almost makes me wish I could work in the tourist businesses myself, and get to visit all of these beautiful places. Hi and welcome to my blog about my life and my travels. 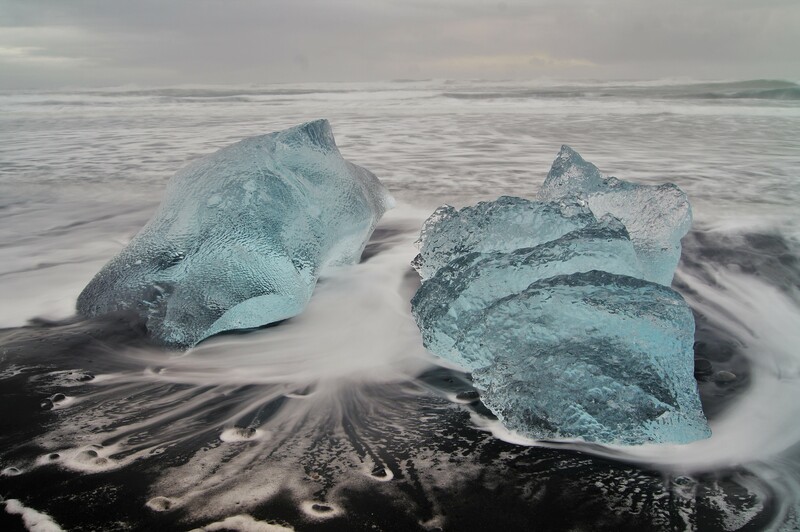 Come and follow me on my "Great Icelandic Adventure"! Minimat.se - Mat för minisar! It all became clear after the first bite. Life would be bittersweet but definitely worth coming back for seconds.